Overwatch’s second and final weekend beta test begins this weekend, starting on Friday 15 at 9:00am PDT, and ending on Saturday 16 at 9:00pm PDT. If our Ben’s ramblings are correct, expect Overwatch to find its way into our list of PC’s best FPS games. Battle.net accounts which have been selected to take part in the beta test wilL start being flagged on Thursday, April 14, giving players time to download and install it before it all kicks off. It’s worth noting that only players from the Americas, Europe, and Asia regions will be selected. If you’re selected to participate, you’ll see an install button appear in the Overwatch tab of your Battle.net desktop app as well as an Overwatch Beta license in the ‘your game accounts’ section of Battle.net Account Management. An email will also come through at some point, but there’s a chance this could be delayed. During the beta, all players – including anyone in the closed beta – will have access to the full roster of 21 heroes and a limited selection of maps: Hanamura, Route 66, and Nepal. Some features, like Weekly Brawl and Competitive Play, will be unavailable, but you’re free to stream, take screens and even host competitions, if you like. For more details, like how to install it, head over to the official Battle.Net announcement. Don’t worry too much if you’re not selected for this beta, though, as the Overwatch open beta runs May 5-9, and the game itself launches May 24. 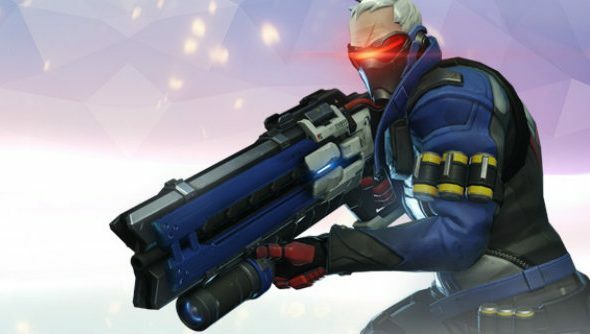 You’ll want our list of theOverwatch characterstoo – start picking favourites.